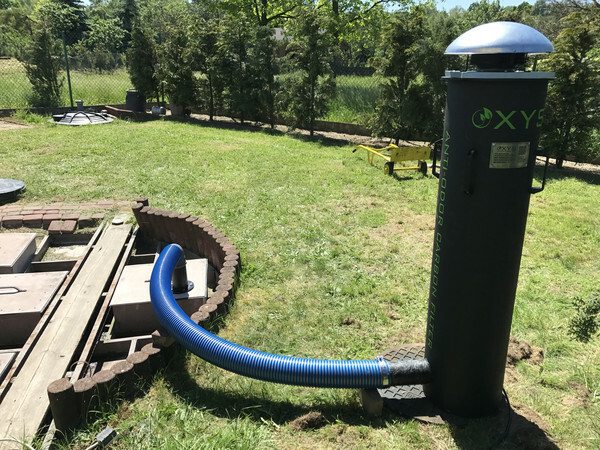 OXYS anti-odour filters eliminate sewer odours immediately after they have been installed. Our company can design and manufacture custom-made filters to meet the customer’s requirements and expectations. 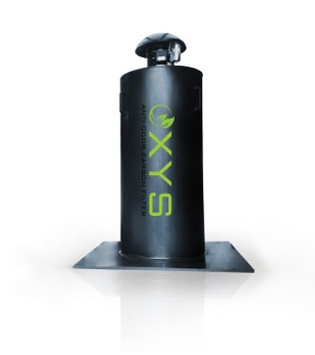 OXYS chamber anti-odour filters are used to eliminate sewer odours occurring at very high concentrations. This material has been subjected to additional treatment. 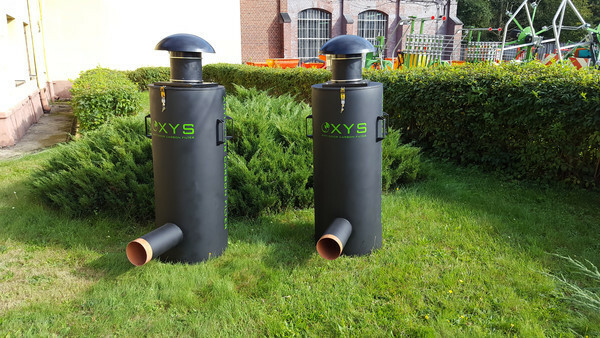 The special design of chamber filters allows for the appropriate selection of the number of cartridges for a given application in the form of highly effective impregnated activated carbon. 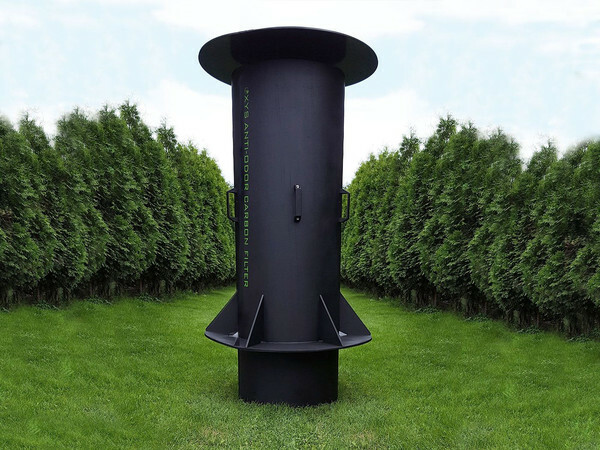 Our offer includes both chamber filters mounted on drainage chambers and free-standing chamber filters. The filters can work with gravity ventilation or they can be equipped with a special electric vent stack exhaust fan. 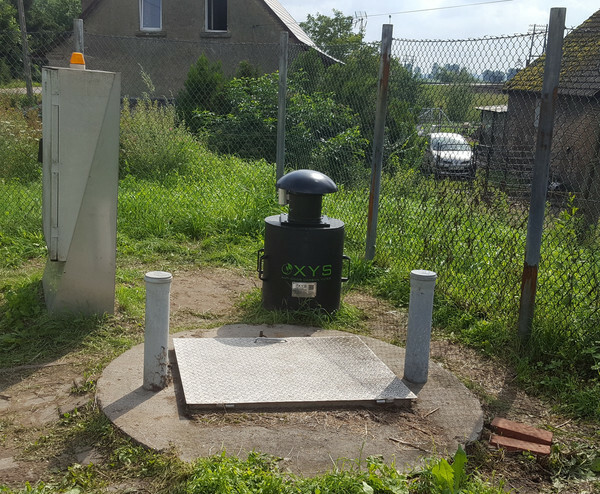 The offered installations are each time adapted to meet the customer’s individual requirements. OXYS Sp. z o.o. 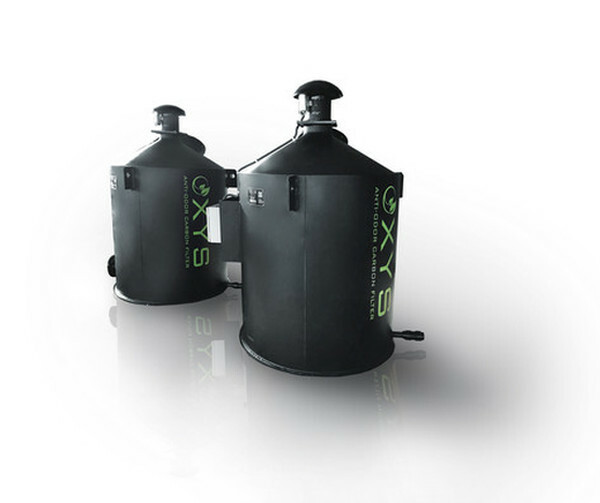 offers comprehensive solutions starting from H2S concentration measurements to the selection of a chamber filter, its production, delivery and installation. On request, we can also collect and dispose of a used filter cartridge. - high odour neutralisation efficiency.